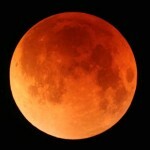 The Blood Moon Tetrad of the Century! All these, it is said [in Christian tradition], are precursors to the real story of the Bible, namely, Jesus and his blood shed at Calvary for the redemption not alone of Israel but of the whole world. 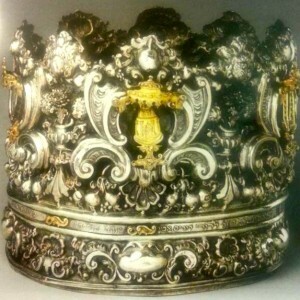 The ‘Golden Thread’ referred to is thus the Kingdom or the Kingship of the One God of Israel. Going back again to the beginning in the Garden; God, the Creator of all, shared rulership over the earth with Adam and Eve. They forfeited that honor when they disobeyed the rules of the Master Gardener and chose to decide for themselves what was right or wrong. Self and independence triumphed over the will of their Father, God. 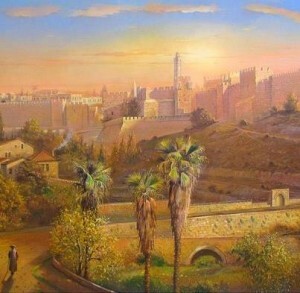 Ever since, through all the centuries of man’s history, and in each individual journey of life, the goal has been to overcome this selfish lust for power and drive for dominion-on my-own-terms and to yoke it to the will of the God of Abraham, Isaac and Jacob; to humble ourselves in service to His gracious Sovereignty. We need not be surprised, then, at the vicious opposition to the establishment and prospering of the Jewish State of Israel. All the selfish drive of fallen and idolatrous human nature rises up against it. 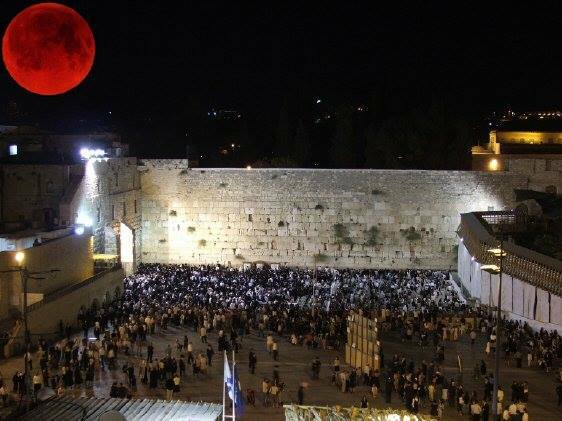 But, at this occurrence of the Blood Moons, let us remember that, yes, the blood of sacrifice is found at the heart of God’s plan for Redemption; however, the Golden cord encircling it all with its emet and kedusha – its powerful light of truth and radiant glow of holiness – is the reign of the Kingdom of God. That is where our focus should be, where our hearts should be centered, as we await the arrival of Messiah as King, and anticipate His glorious reign over all the earth. Eventually, we understand that “…at the Last Day when death is no more, then the Son will hand the Kingdom back to the Father, that God may be all in all” (1 Corinthians 15:24, 28). Until then we can be working with Him zealously in the redemptive process of tikkun olam – the restoration and redemption of Israel and the nations of the world. Le’ma’an Shemo b’ahavah! For His Name’s sake, in love. So powerful Keren. Thank you again for your anointed ministry. So blessed by your teaching, in fact doubly blessed because I have just read Dwight’s teaching on the Golden thread of the kingdom in his book A Continuing Quest. Since I found your and his teaching I feel as if I am drinking at a wonderful refreshing pool Thankyou so much. Ken and Cathy, your encouraging comments are much appreciated. Thanks in return to you.